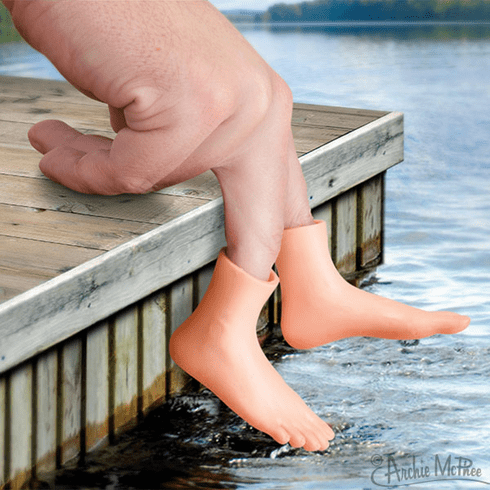 Turn your finger into a leg with Finger Feet! They come in bulk, 72 in a box, so you can sell them by the foot. Made of soft vinyl and 2" (5.1 cm) tall, these tiny tootsies are so irresistible you'll be tempted to run a marathon with your hand. Each illustrated display box has an assortment of right and left feet as well as light and dark skin tone.